“Is the world getting better or worse?” I asked a group of friends. Their response: “It depends.” “Depends on the topic considered,” said one. “Depends on the country,” replied another, followed by general agreement that it’s “better” in that poverty is decreasing, but “worse” in that terrorism appears to increase. “Better” in that people are living longer, but “worse” in the matter of global warming. The question has been kicking around for a while. The Pew Research Center’s Global Attitudes Survey (spring 2017) asked nearly 43,000 persons in 38 countries whether life is better or worse than fifty years ago. Positive responses came from countries such as Vietnam and India that have experienced significant economic transformation in recent decades. In general, people in more developed countries such as Japan and Germany agree. But not all. Only 37 percent of Americans say life has become better, whereas 41 percent say worse. Respondents in France, Italy, Hungary, and Greece agree. Why do so many have trouble acknowledging world betterment? For one thing, when watching the news we focus on single events and individual people more than on statistics and long-term trends. The media feed that preference. Violence, social unrest, political hyper-partisanship, corruption, opioid and immigration issues dominate news reports. In his recent book, “Enlightenment Now: The Case for Reason, Science, Humanism, and Progress,” cognitive scientist Steven Pinker demonstrates that popular opinion is out of touch with trends that show dramatic improvements in the human condition – not merely from a century or two ago, but in the past half century. By his reckoning, China is the only large country in which a majority of people ‘express optimism’ about progress. Yet, evidence that world conditions are improving is readily available – for example, increased life expectancy. Due to decreasing death rates from natural causes and children dying before age five, world life expectancy has in the past fifty years risen to 72, up by 20 years. Life expectancy in the US is 79. In just half a century life expectancy in India has jumped from 41 to 68. The decline in infant mortality (deaths per 1,000 live births) is one important reason, but so too are better science and better health. Likewise in Brazil, where infant mortality has decreased from 129 in 1960 to 15 today. The United States’ figure is 5.8, higher than that of other Western nations, in which the average is 3.4. Americans continue to believe that extreme poverty has increased worldwide even though poverty rates have fallen dramatically. Our World in Data, an online publication presenting empirical research, reports that “today about 10% of the world population lives in extreme poverty, while in 1990 the corresponding figure was about 37%.” One may take exception to the preposterously low threshold of $1.90 per day even for the very worst off. Whatever the standard, however, it’s the downward trend that people are missing. Improvement in literacy is more easily assessed. It’s estimated that 200 years ago perhaps only 12 percent of people in the world could read and write. Today it’s closer to 85 percent. Contrary to what one might assume from local and national news headlines, homicide rates in the U.S. and the world have declined not only during the past century but during the past several decades. There are fewer wars today than three decades ago. The status of women has improved markedly, and wide majorities, with reason, view the internet, cell phones, email, and online shopping as positive inventions, making our lives better. The issue of “better” and “worse” in human well-being is complex, yet overall few today would opt to return to the “good old days” at the onset of the twentieth century, when streetcar drivers worked sixteen-hour days for $12 a week, when 150 African-Americans were lynched each year, when only 6 percent of high school age children graduated from high school and one-third of those who labored in mills were children. Steven Pinker’s reality-based assessments of human progress are guided by empirical evidence rather than daily news reports, which focus on the darker side of life and often neglect historical perspective. Not everything becomes better for everyone, to be sure, and the decline in upward mobility colors individuals’ assessments of progress. By ignoring genuine challenges such as global warming, we may yet turn onto a road leading to increased suffering and even long-term decline. We can influence the future evolution of our planet, but we must learn to embrace facts about our world and then muster the will to act. 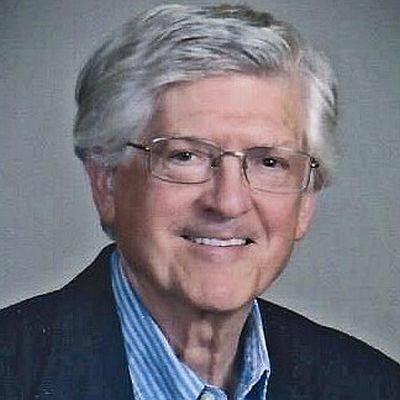 Ron Lora, of Bluffton, is professor emeritus of history at The University of Toledo and is co-editor of “The Conservative Press in Twentieth-Century America.” Contact him at rlora38@gmail.com. His column does not necessarily reflect the opinion of the The Lima News editorial board or AIM Media, owner of The Lima News.